As Superstorm Sandy fades from the front pages of the news, please remember that there are still thousands of families in dire need. In lieu of our usual Pick of the Week, Different Roads to Learning will be donating 10% of all online sales to New York Cares and the Carl V. Bini Fund, two wonderful organizations delivering relief supplies, coordinating volunteer services and providing much needed assistance to the most hard-hit residents of New York City. In parts of Staten Island, Breezy Point, the Rockaways and elsewhere, there is still no power and there is no end in sight. We can tell you firsthand how crucial these organizations have been to coordinating relief efforts and how tremendous the impact is on affected families. From today through Monday, November 19 at midnight EST, all orders placed on our site will be counted towards what, with your help, we hope to be a sizeable donation to these organizations. If you’ve been putting off making a purchase, this is the week to do it. When we make our donation, we will include all of the names from people who have ordered in our card. 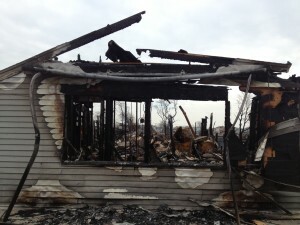 We hope that you will join us in helping the affected members of our New York community. In addition, if you know of a family or school in need, please forward us their information. We have a supply of new and gently used books, games and other materials for individuals on the spectrum that we would be happy to donate. 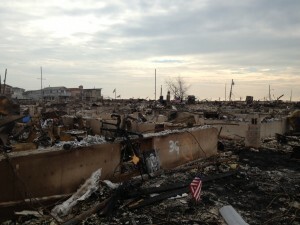 These are some photos taken by us and our friends who have been working and volunteering in Breezy Point and Staten Island. The help and assistance provided by relief organizations from food to literally helping people pump out and gut their homes is crucial. Please help us help these families by ordering today! Written by: Different Roads to Learning on November 13, 2012.on October 16, 2018. This entry was posted in Community Programs, In the News and tagged Hurricane Sandy Relief by Different Roads to Learning. Bookmark the permalink.